Please place orders before 2pm for same day dispatch. If it's critical, please feel free to call us on 1800 337 366. Satchels are available up to 5kg and cartons up to 10, and 20kg. This delivery method is not available to Victorian destinations. Overnight Satchels (up to 5kg) to the NT, including Darwin will incur a surcharge of $30. 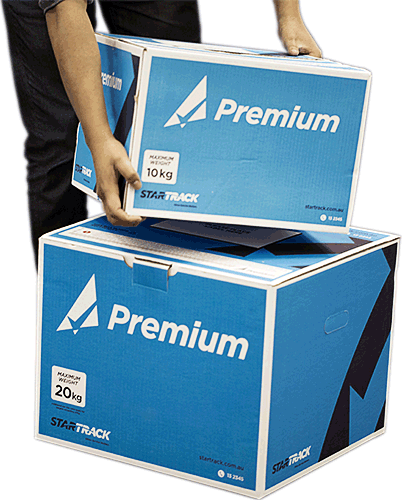 Orders larger or heavier than 20kg will automatically be sent by Standard Road Freight. Delivery to metro areas is next day before 11.30am or your money back. Note: Money-back guarantee applies only for orders placed before 2pm. If it's urgent, call us on 1800 337 366! You will be contacted if priority air satchels are not permitted or if further payments or refunds are required. Add a surcharge of $30 for NT. Note: All prices include GST.